The innovative Staying Well Service (SWS) launched by South Western Ambulance Service NHS Foundation Trust (SWASFT) a year ago as a measure to further support the physical and mental health and wellbeing of its workforce, has been hailed a great success and cited as an example of best practice nationally. Around 950 members of staff have accessed the service in its first year of operation, equating to approximately 21% of the Trust’s entire workforce. By the very nature of the work they do, ambulance staff working on the road and in clinical hubs (999 call centres), are frequently exposed to traumatic and disturbing events and this can have a bearing on their welfare – both physically and mentally. The SWS was introduced in addition to the staff support services already available and can be accessed for problems and issues stemming from an individual’s personal life as well as situations occurring at work which are adversely affecting them. Anyone accessing the SWS can be assured that their situation will be dealt with sensitively and in strict confidence. Accessible via phone or email, the service has been designed to meet the challenges associated with delivering a range of emergency and urgent care services on a 24-hour basis across an area spanning a fifth of England. Through the SWS staff can access physiotherapy and a range of specialist counselling services and facilities. Working in conjunction with, and supported by, a number of partner organisations including Mind, the Samaritans and a number of safeguarding boards, staff can be assured that their needs will be tailored to the wide range of options available to help them. Stress, anxiety, financial concerns, drug or alcohol problems, physical injuries and domestic violence are some of the triggers for people to get in touch with the trained professionals staffing the service. 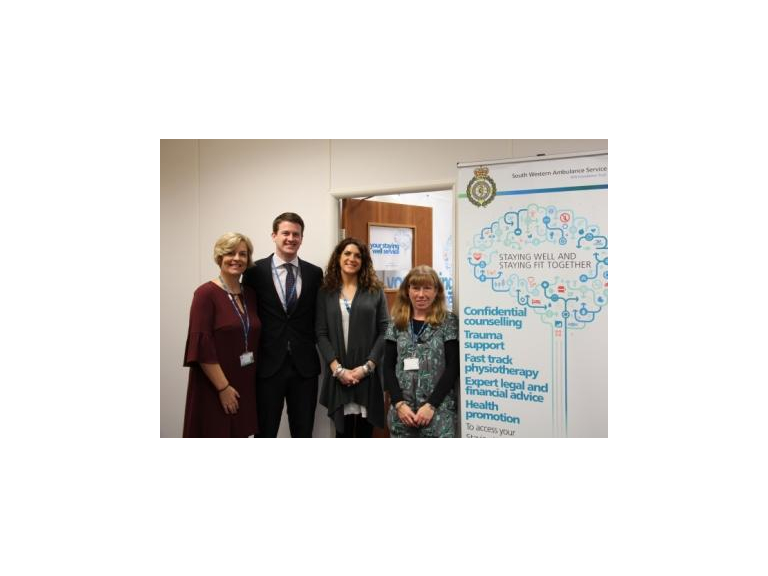 As well as acting as a support service for those already experiencing problems, the purpose of this initiative, which combines the skills of safeguarding, HR and clinical professionals, is also designed to act as a proactive service encouraging people to ‘stay well’. As the Trust enters the festive season, one of the busiest times of year in terms of activity and demand for ambulance services, staff can be assured of getting all the help and support they need. Emma Wood, the Trust’s Executive Director of HR and Organisational Development, is delighted that the SWS is such a valuable resource for staff and said: “The fact that more than 20% of the Trust’s workforce has taken advantage of the help and support services on offer in its first year of operation is testament to its success. We take the health and wellbeing of our workforce extremely seriously and are pleased to be able to provide them with a comprehensive range of support mechanisms. “I would like to take this opportunity to sincerely thank our supporters, including Mind, the Samaritans and PTSD UK for their invaluable expertise and support. Our staff carry out a fantastic job in serving their local communities and as we approach one of the busiest times of the year, they can be assured that if they need any assistance we are here to provide it.